We are an EQR accredited Asbestos removal company. Our team at Asbestos Remediation Solutions is fully licensed and certified to conduct all forms of asbestos testing and removal. For assistance with this toxic mineral fibre in your home, call us today. We’ll make sure you and your family remain unexposed to the potentially hazardous effects of asbestos. Trust us to take care of all of your asbestos testing, removal and remediation solutions in the Canterbury region. We offer honesty and transparency in all of our building solutions. 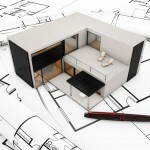 At ABS, we provide you with end-to-end solutions for all aspects of the domestic building market. From simple updates to complete bathroom makeovers, our experienced team brings integrity and motivation into every job. Have asbestos products, or suspected asbestos at your premises? Unsure of your options? Call us today for free friendly advice, or to book in a site inspection and obligation free quote by one of our team. We can arrange comprehensive hazardous material sampling including: Asbestos, Meths, Black mould, Heavy metals and more. We also perform asbestos surveys, and can produce asbestos registers and management plans. We work following the most up to date New Zealand regulations and guidelines, our team has many years combined experience in the field and can manage all aspects of the job. We handle all required paperwork including: Asbestos sample reports, asbestos registers & management plans; Asbestos Removal Control Plans; Task Analysis & risk assessments; work notifications for worksafe; we have a full record of our staff training and competency and will arrange the required independent air monitoring and clearance certificates after completion of the job. We can organise a project from first sampling through to clearance of all asbestos and re-occupation by you. Our team can manage everything, working closely within your availability, to keep the process as painless for you as possible. We often work with other contractors, and are flexible with our timings to ensure your job stays on schedule. 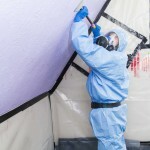 We have a very in-depth understanding of the industry and have experience in every facet of asbestos removal. No job is too big or too small for us, and all are managed to the same meticulous standard, to ensure that you get the best service available. For the health and safety of not only you and your family but also the public and the environment, it is important to choose a company that works responsibly. Our staff are all experienced and fully qualified. Each specialist carries a Work Safe certification, so you know that our team has been trained and educated according to New Zealand regulations.